Storrow Company, Inc. performs general contractor services specializing in alterations, additions, tenant build-outs and renovations for doctor's medical offices, health care facilities, corporate executive offices, new structures and residential spaces for clientele. Founded in 1980, Storrow Company, Inc. is a family owned and operated building contracting business in Cambridge, MA. Our firm has successfully completed repeat projects for numerous clients as the result of individual attention devoted by the principles and staff of our firm to the particular requirements of each project. Initially concentrating on the concepts of adaptive reuse of historic structures, our firm has also performed numerous renovations, office build outs, and alterations for emerging imaging technologies of the health care industry as well as alterations and new structures for institutional and commercial clientele. Our services include pre-construction budgeting and planning, coordination with architectural and engineering consultants, scheduling, construction management, build-out and project closeout. Attention to detail from planning through completion has insured on time and within budgets. 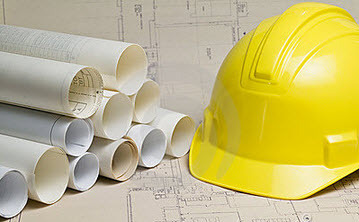 Storrow Company, Inc. has a staff of experienced estimators, project managers and project supervisors with extensive experience in all phases of building and construction management. We are licensed, fully insured, bonded and pre-qualified by the Commonwealth of Massachusetts. The principals and staff of our firm are licensed by the state and local agencies. If you have further questions, or need additional information, please do not hesitate to contact us. Storrow Company, Inc. Copyright © 2013-2016. All Rights Reserved.